I am not paid nor was I given a free dishwasher. I wish. I can, however, tell you that I bought my new GE dishwasher about 3 months for less than 1/2 off at Home Depot and have never been so happy with a dishwasher. Yes, I paid less than $300 for a floor model with a scratch and never been happier. I have put this dishwasher to the test too. I have put dishes with baked on burnt on potatoes, dishes with spaghetti sauce not rinsed off, and crusted on 2 day old Fruity Pebbles cereal and they came out clean. And to top it off? I do not use expensive dishwasher pods or detergents either. I use low cost box of Finish granules. I get giddy when I open up the dishwasher every time to find my dishes clean with no rinsing or washing before loading. PLUS- even with my family’s funky stacking and loading the dishes still came out clean! I walked into my Home Depot and saw the markdown ticket. I inspected it and thought to my self “not another GE” so I walked away. AFter 3 weeks and many looks at the dishwashers I talked to my favorite appliance man and asked him why I should buy another GE. He told me all the benefits and when he said it had a food disposer I really started to listen. After all, 5 year old GE was making me miserable because I had to wash the dishes before loading and I hated that. I believe if you have a dishwasher, it should wash the dishes. Do you agree? I am a bargain shopper and I cannot guarantee you will find such a great deal. However, with patience and frequent sales at Home Depot, you can probably get a deal. If you do not care about scratches and dents, then floor models are the way to go. Most of my major appliances over the years have been scratch and dents at the store. No I do not go to scratch and dent stores because I found in my many years that their prices are not better than buying it from the retailer. The pictures I have posted here are not doctored or edited. I do not recommend something unless I have tried it and proved it to be good or bad. 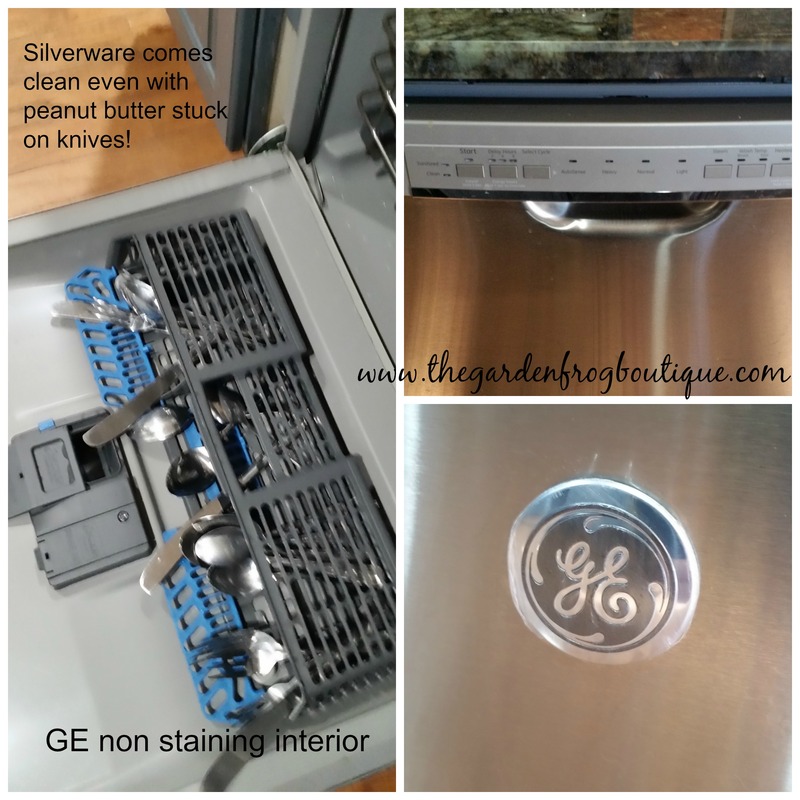 I am all about getting my money’s worth out of a product and so I had to write this and recommend the best dishwasher I have ever had (I believe I have had 5 in the past 20 years). 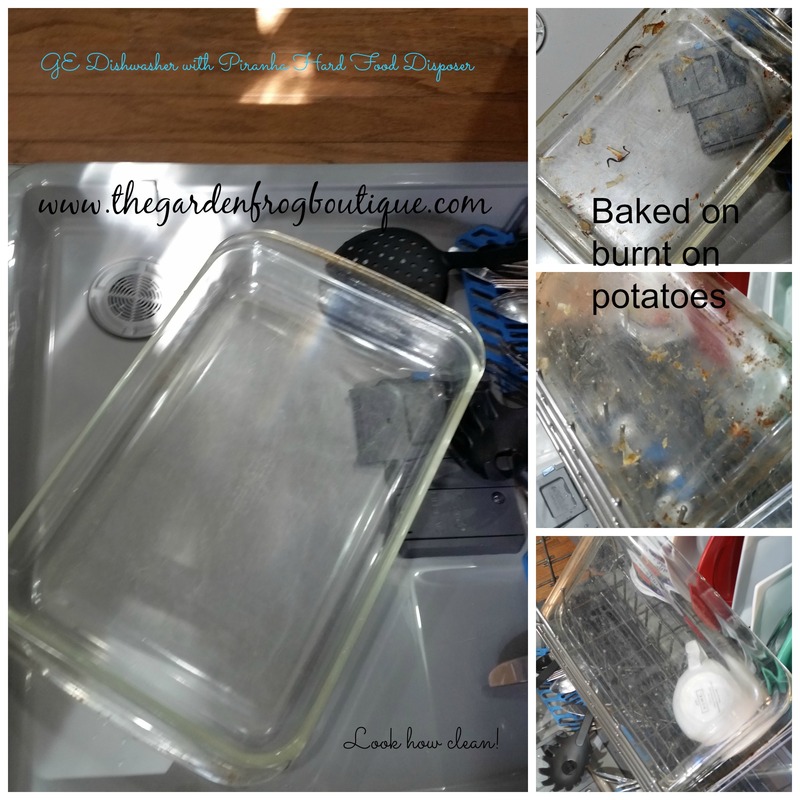 Thank you for stopping by and keep watching as I write about gardening, DIY, and recommendations for appliances and tools.